Going for the hard sell will no longer cut it with the increasingly powerful millennial generation, according to Adidas' director of global brand strategy, Stefanie Knoren. Speaking at a Forrester forum in London, Knoren described "consumer-centricity", where customers expect products to be marketed to them at the right time. Millennials, aged between 18 and 35 years old, also expect brands to "do good" alongside selling their core products. She said: "We are at a shift where marketing moves from advertising to really creating value for people. This is what we should be focusing on." She added: "It is not just about broadcasting and optimising the sh*t out of our marketing, that’s not going to cut it. Customers are expecting us to be good global citizens." Knoren admitted that this had been a challenge for Adidas which, like many of its rivals, has traditionally focused on product-driven marketing and ads. She said: "Traditionally we would talk about product technology, like shoes having a certain technology that makes you run faster." This changed with the bold ‘There will be haters’ ad campaign (below) this year, featuring the controversial footballer Luis Suarez. Knoren said: "With this campaign [we found] what motivates young people is a sense of self and confidence. When you are confident in your game, that brings on a lot of love and hate. There is a lot of hate in football, on clubs, players and managers." 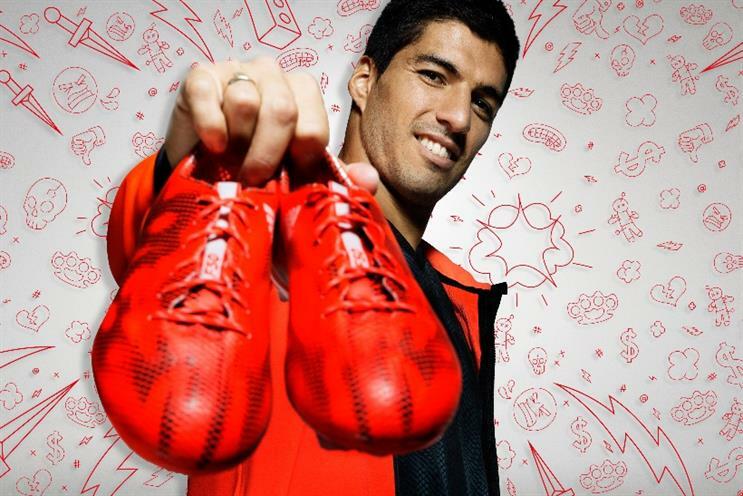 Adidas chose to put itself at the centre of this "hate" conversation by bringing in Luis Suarez, controversial both for his racism and violence during matches. It was a "bold" move for Adidas, said Knoren, but forced the company to talk to customers directly and authentically about hatred, rather than outsource to agencies. She said: "If you put up a hashtag like #therewillbehaters, it is not just enough to talk about new boots. People are expecting a conversation around that with you." Difficult as it is to shift from product-driven marketing to conversational marketing, there are upsides for marketers who rise to the challenge. Effecting change made Knoren feel like her job was "valuable" for the first time. She said: "I always used to be jealous of people that had real jobs, like doctors and lawyers that really help people, and do something good. "This is the first time I can feel valuable as a marketer."